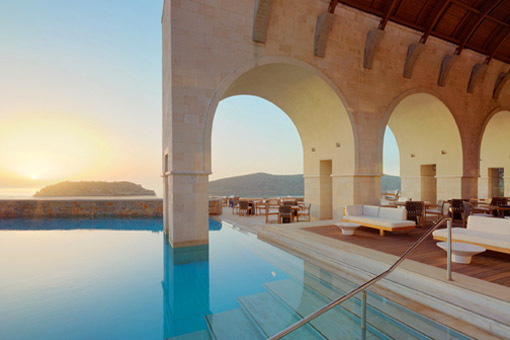 Welcome to the Mediterranean retreat of Blue Palace at Elounda, Crete. A resort of exceptional quality and style set in mythical surroundings to sooth and inspire. Take pleasure in the dramatic views from your luxury bungalow suite or villa; dive into the crystal clear blue waters of the Mediterranean; relax with a specialized treatment in our state-of-the-art The Elounda Spa & Thalassotherapy. And enjoy an impeccable service, which combined together with our celebrated Cretan hospitality, will make you feel right at home.